Stenhousemuir tribute to Brentford director Robert Rowan, from Fife. Robert Rowan developed his own football analysis programme and techniques. 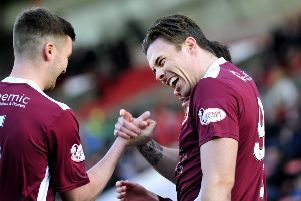 Stenhousemuir have paid tribute to former sporting director Robert Rowan, who briefly worked at the club during Scott Booth’s managerial reign. Mr Rowan, from Fife, died this week at the age of just 28. He was SkyBet Championship side Brentford’s technical director. The Griffin Park club announced the sad news on Tuesday. Ochilview chairman Iain McMenemy said: “Like so many others, we are all saddened to hear the tragic news of Robert Rowan’s passing. “Robert was recommended to us when Scott Booth was manager back in 2014, and we met with him with a view to taking him on to assist with analysis and recruitment. “It was clear that although Robert didn’t have a background in professional football, the game was his passion. He was a young man with bright ideas and we were happy to take him on in a role where he supported the manager and club with his in-depth analysis. “He went to Brentford, initially on club business, when he was made an offer too good to refuse, and so began his long affiliation with them. Robert was appointed a sporting director at Stenhousemuir under Scott Booth’s regime having previously worked with the then Warriors boss as an analyst in the Scottish FA. He also analysed matches for Celtic. However his talents were spotted by Brentford who appointed him head of football operations. Most recently he fulfilled the role of technical director.